If you’re a fan of?30 Rock, you’ll make sure to wear yellow and blue or risk getting poked in the eye. 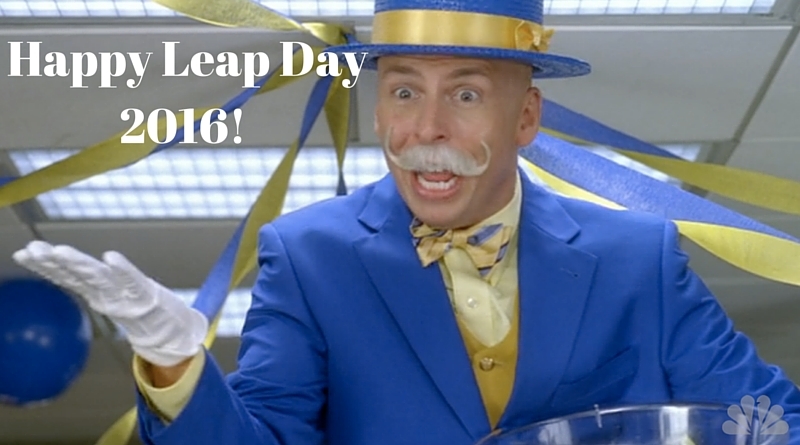 If you’re lucky, Leap Day William will visit and trade in children’s tears for candy. 2.) Emma Westchester has the in for you at Scarsdale’s Athleta for an exclusive shopping experience. Join Erin and Shawna for a girl’s evening?out on Friday, March 11 at 4 to 7 p.m. and enjoy some health snacks, raffles and shopping. Get the details here from Emma Westchester. 3.) Want to learn how to not waste your money on marketing for your small business? Learn the ins and outs from the professionals from Berlin Productions, a leading promotions and marketing agency in Westchester. They’ll explains the steps and strategies to plan targeted and effective marketing campaigns at Live Love Own’s next business mixer on Wednesday, March 2. ← 100 Years of The Woman’s Club of White Plains; Is Laundry Only a Woman’s Job? I was looking through some of your articles on this site and I conceive this web site is really instructive! Continue posting.